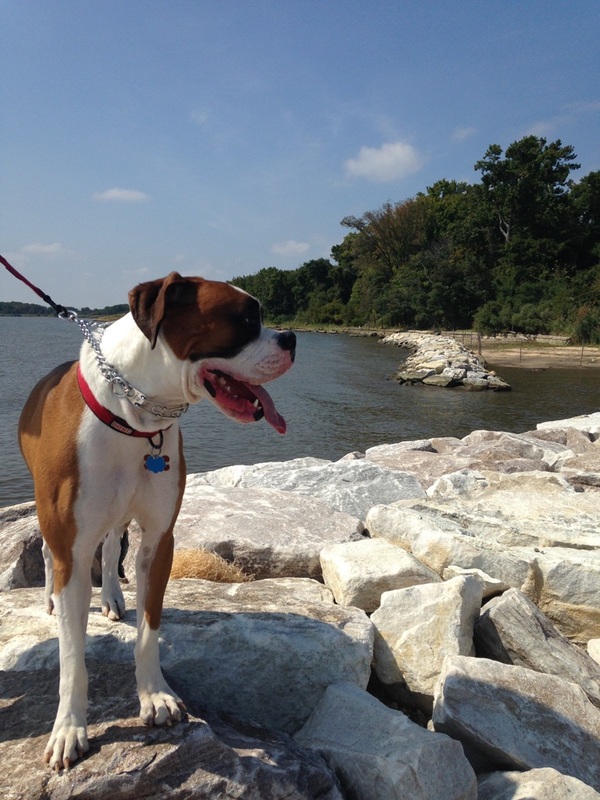 One of Maryland’s Best Kept Secrets: North Point State Park | the writings of sylvia a.
I typed 8400 North Point Rd on my GPS and started driving along I-695 East towards Essex leaving Towson University. Driving along, the windows were down and the sun was beaming its rays down on my skin reminding me that the last few days of summer were approaching and fall would be here sooner. According to my GPS, I was only 10 minutes away from North Point State Park. Closer onto North Point Blvd, the scenery began to change. The trees were full of big, green leaves with acres of endless flowers. I finally saw the sign for North Point State Park – Maryland Department of Natural Resources to my left. I pulled up to the kiosk where a friendly woman who worked for the park stopped my car and asked $3 for admission. As I handed her $3, she told me that the park was open until sunset and if I were to have a dog with me, it would be allowed since dogs are not welcome in the park between Memorial Day through Labor Day. She explained to me that North Point State Park in Baltimore County is a beautiful 1,200-acre state park that covers scenic views and trails that overlook the shore of the Chesapeake Bay and the Francis Scott Key Bridge. The Bay Shore Pier was one of its attractions that attracted a lot of visitors, but had recently been restored this past year due to damage from previous storms. 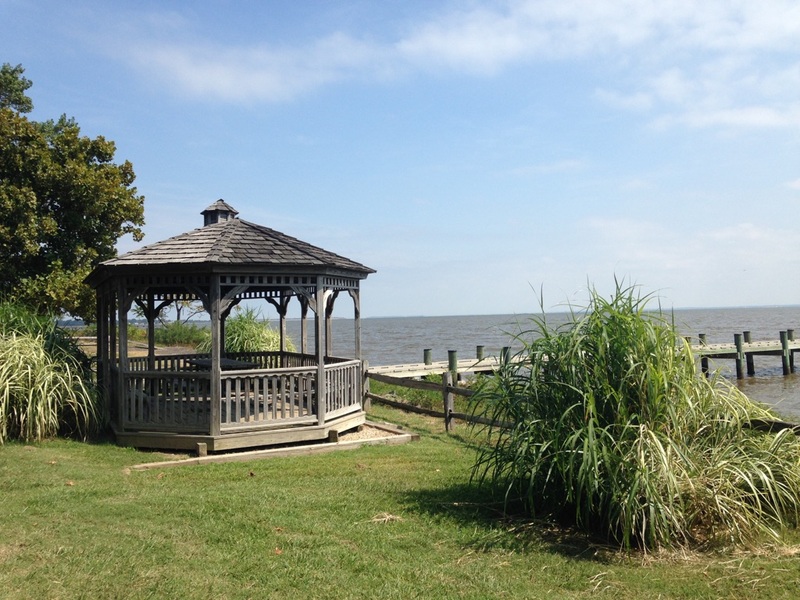 As she handed me a pamphlet of the park, she explained to me I could park near the front and walk along the trail or drive down towards the trail and enjoy the beautiful scenery where the Chesapeake Bay and all its other features met up. I decided to drive along the trail and it was a great decision. The smell of fresh air, flowers and trees overwhelmed my senses. I’d already discovered a couple walking along the trail, a bicyclist catching his breath, taking a break and sitting on a bench, and another couple walking their dog. Who knew that this hidden gem existed only only 20 minutes outside of Baltimore. I stumbled upon the Defenders’ Trail where the War of 1812 took place. Colonists of over 202 years ago were protecting their land battling with British troops who were invading Baltimore right on this property and I was here, 202 years later to explore the area. I originally imagined an older looking area, but Baltimore County has done an amazing job into keeping this state park looking its best. I passed the 4-way stop sign and entered the parking lot to see where the real beauty came into play. The walkway towards the water looked old, but nonetheless it was beautiful. Large trees next to tall bushes and a gazebo surrounded by water in the background captured my attention. Along the gazebo, a photographer was looking out into the water taking pictures. Kimberly Lydic, a photographer based in Sparrows Point, mentioned that the park is only 5 minutes away from her house and the park “butts up her parents’ property.” North Point State Park is her preferred area for photographs. “Fall is my favorite time to take pictures at the park because there are so many open fields that yield beautiful trees and colors.” She mentioned how I should go along the pier and just relax since it was recently renovated. Little after I knew it, my stomach was starting to growl and I needed to get a bite to eat. I brought myself a lunch and decided to have a picnic on my own; chips, two bottles of water and a chicken salad sandwich while I enjoyed the park. I wanted to have a picnic because I couldn’t remember the last time that I had gone somewhere peaceful and relaxed without having to worry about anything at all. I sat down on a bench, looked out at the water and my mind started to clear itself. Seeing the waves, the smell of the salty water, fresh trees, and views of the boats out deeper in the water made me feel as if I was actually at Ocean City. Except it was better. It was peaceful, quiet and not crowded like Ocean City. The area was so quiet that I could hear the grasshoppers during the day and small chatter all across the park. I walked towards the Bay Shore Pier, formally known as “Crystal Pier.” I could see how this was a popular attraction decades ago where well-dressed people stroll around. I could imagine visitors then being in awe with the view, because it was breathtaking. Times really have changed with its appearance, but the beauty of looking out into the shore by yourself or with others remained the same. 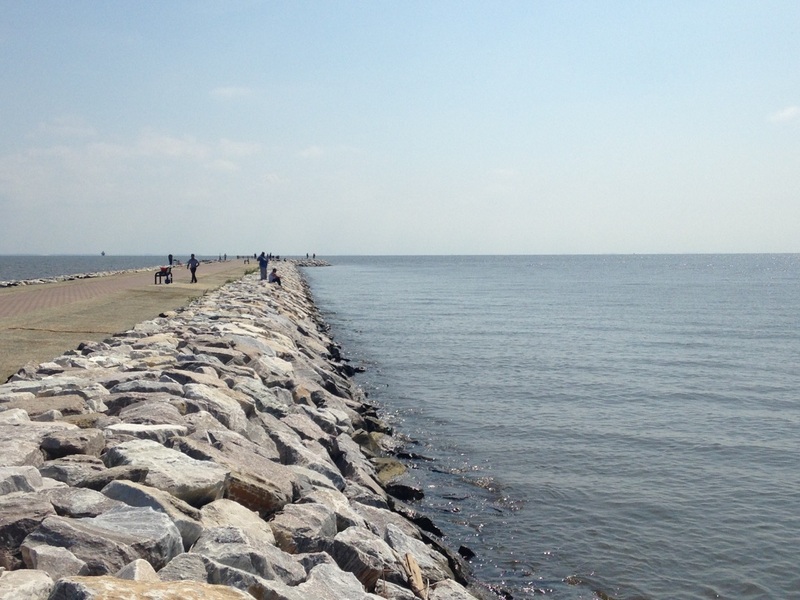 Bay Shore Pier has its attractions such as fishing, biking, walking, or even sitting on large, white rocks that surrounded the pier. I could see people enjoying what they were doing. As time passed by, I had already noticed I was out for 2.5 hours. Time had gone by quickly, but more and more people were starting to come along to pick their spot all over the park. I was heading back to my car and I noticed a bird pooped on my arm! I couldn’t believe that on a beautiful day like today, this could happen to me, but I knew I had enough sun and adventures at North Point State Park. A bird pooping on my arm should resemble a sign of good luck for my drive back up to Towson after all, but the restoration of North Point State Park made it a perfect destination to explore its historical background and all of nature’s beauty. « What the Gluten are you talking about?